Honors students receive an Honors designation on their transcripts if they 1) earn at least 18 hours of Honors credits, including at least six hours of Honors Foundation courses, 2) graduate with an overall GPA of at least 3.3, and 3) beginning with the freshman class in 2017, engage in an Honors Year One experience during their first year. Many UH courses can be retaken, provided the course content differs, but no more than two hours of undergraduate pass/fail courses can be counted toward the Honors College requirements. Overall GPA and course completion are monitored each semester. 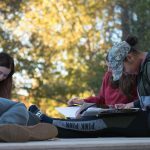 Honors College students who drop below a 3.3 overall GPA will be suspended unless raising their overall GPA to at least a 3.3 by the end of the next semester is feasible. Students who remain in the Honors College below a 3.3 overall GPA are not considered to be in good standing. Suspended students may be reinstated by contacting the Honors College after their overall GPA increases to at least a 3.3. Honors College students must complete Honors coursework at a proportional rate to overall degree completion relative to time of admission. Students whose rate of completing Honors coursework falls significantly behind their rate of overall degree completion will be temporarily suspended pending an approved plan to finish Honors coursework. 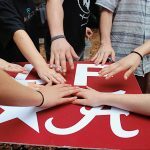 In order to retain Honors status from freshman to sophomore year, first year students must take part in an Honors Year One (HYO) experience, which will engage students with the College, faculty, and fellow students. See HYO experiences that fulfill this requirement.